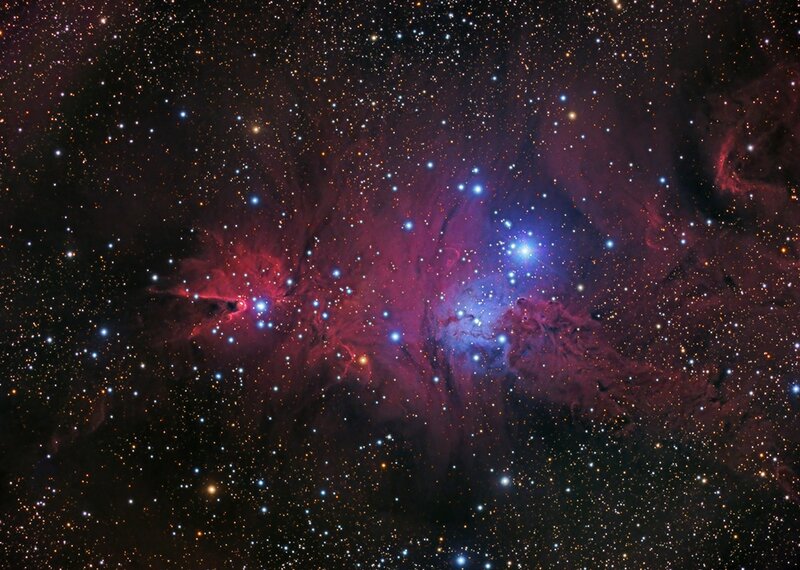 consists of the red 'Cone' emission nebula (H V.27) at far-left, the blue 'Christmas Tree' open star cluster and reflection nebula near center, and the magenta Fox Fur nebula (Sharpless 273) at right. The nebular complex was first cataloged by the great William Herschel in 1785, and is ~2,500 light-years distant from Earth. The strong presence of glowing, pink Hydrogen-alpha gasses indicates a rich star birthing region. Many thanks to my 'cobber' Terry Hancock for this wonderful data!